Mayors outside Metro Vancouver are concerned about the impact of a new 15 per cent tax on their communities. 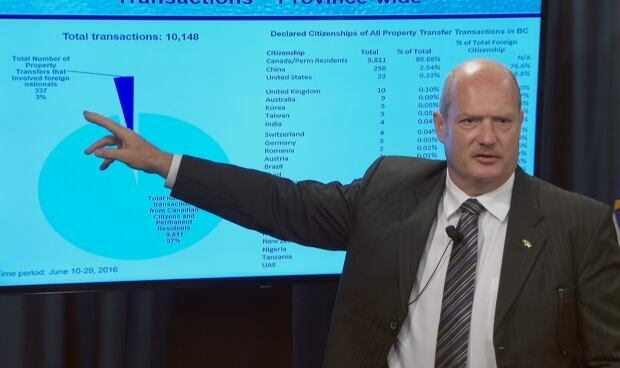 The tax only applies to purchases made by foreign nationals on properties in Metro Vancouver. Whistler Mayor Nancy Wilhelm-Morden warns the tax could have “unforeseen consequences” in the communities where it is not applied. The largest worry is that foreign buyers priced out of Vancouver will shift money elsewhere in B.C. “If we receive a significant amount of foreign investment for the mere fact of making an investment that may have a similar impact as it has had in Vancouver, we would like to avoid those types of results,” said Wilhelm-Morden. Whistler is already a popular place for foreign buyers to purchase property, but Wilhelm-Morden said many of those buyers don’t just use their properties as investments but also enjoy the outdoor activities Whistler offers. The Grierson Mansion, built in 1910, was one of the many properties put on sale during Victoria’s latest housing boom. The provincial government has the ability to expand jurisdictions covered by the tax, which is expected to be passed by the legislature on Thursday. Finance Minister Mike de Jong says he would like to wait and assess the impact outside of Metro Vancouver before making any changes. “On measures of this importance, I always feel the government is better off when it can make decisions based on fact, as opposed to theory,” said de Jong. The Capital Regional District has already seen some influence from foreign home buyers. Data released Tuesday by the provincial government showed 3.5 per cent of CRD properties were purchased by foreign buyers. Helps has worked with other politicians to put together a resolution to be debated at the Union of British Columbia Municipalities annual general meeting in September. The resolution calls on the provincial government to “implement creative, innovative and flexible tools to create solutions” in B.C.’s housing markets. The resolution also includes the 13 housing-related policies the UBCM has passed over the last eight years as an example of how current policies are not working.